At the Y, we're more than a gym, we're a community! Here you are part of something bigger than yourself. Over 400 staff and 600 volunteers are ready to teach, coach, and care for our over 20,000 members. The Sheboygan County YMCA is a cause-driven, non-profit organization that strengthens the foundations of our community through youth development, healthy living, and social responsibility. 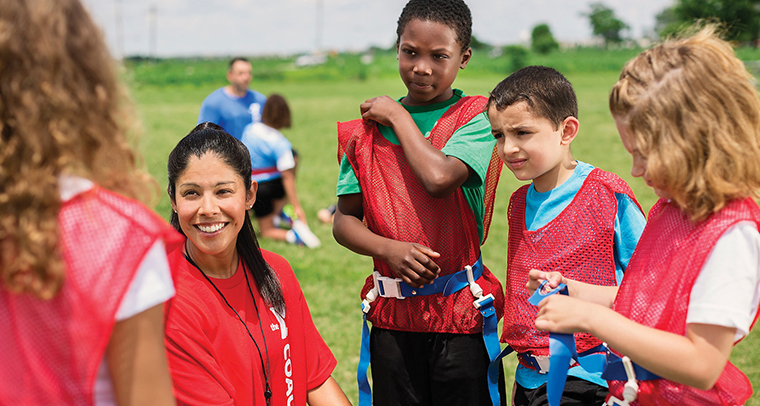 We seek volunteers who desire to join the Y movement and be part of our community of service. At the Y, a volunteer is anyone who performs a task at the direction and the behalf of the Y without compensation or special member discounts. Y volunteers have fun! Corporate volunteers serve on the board or a corporate committee. Program volunteers perform an on-going task for the Y. Program volunteers might be found laughing with 5th grade girls in Girls Night Out, or coaching in Youth Sports. Special event volunteers assist the Y on a one-time basis for a specific event or task, like a Gymnastics meet at the Y or Healthy Kids Day.